Cyperus papyrus have had resembled as dwarf cultivar species in Cyperus papyrus ‘Nanus’ reclassified as Cyperus haspan or Cyperus isocladus. Description & habit: Cyperus haspan is a grass like plant with delicate evergreen look. 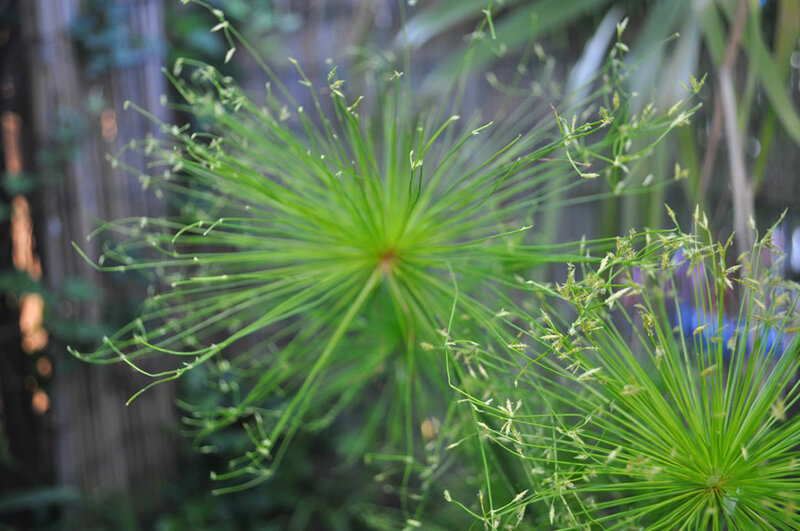 Slim leaves and flower spikes create an umbrella-like apperance above green stems. In warm climates, does well in water garden or moist area. Will grow in a container outdoors in summer and indoors in winter. Must grow with roots in constantly moist or wet soil. Best flowering and growth results appear in full sun, but can tolerate some shade. Cyperus haspan makes an ideal marginal plant. Topped with round spiked flower heads of yellow-green florets that turn bronze in late summer. Sterns that bend over and touch the water create new planllets. 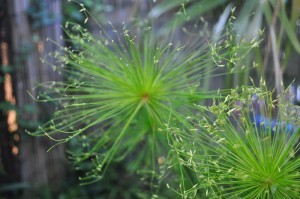 Cyperus haspan grows about 1m (39 inch) height and 0.75m (29 inch) width. Potting & Growing: Considered an invasive weed in the Philippines. It is controllable when potted in a 8l (2-gallon) container and given 2.5-10cm (1-4 in.) of water over the crown in sun to pan shade. Propagation: Division or by rooted plantets that form when flower heads touch water or by cutting off the flower heads and floating them upside down in water.